◎ Based on our analysis, Guo is deeply involved in the power struggle between Xi Jinping and the Jiang Zemin faction. On Oct. 16, Chinese police repatriated an American on the Interpol Red Notice wanted list at the request of the United States Department of Justice, according to Chinese media. 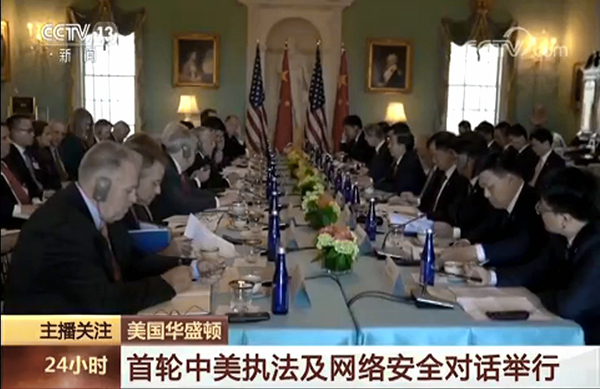 Chinese media billed the move as the “latest achievement” of the Sino-US Law Enforcement and Cyber Security Dialogue on Oct. 4. The backdrop: On Oct. 4, Minister of Public Security Guo Shengkun traveled to Washington D.C. for the high-level bilateral dialogue with Attorney General Jeff Sessions and other senior U.S. officials. Both sides sought the cooperation of the other in helping to repatriate illegal immigrants and fugitives. On the same day, the Hudson Institute canceled fugitive Chinese tycoon Guo Wengui’s press conference. Guo then held another talk the following day at the National Press Club. Based on our analysis, Guo is deeply involved in the power struggle between Xi Jinping and the Jiang Zemin faction. Our take: China’s rapid response and cooperation with the U.S. on the issue of repatriation may be bad news for Guo. Guo is on the Red Notice wanted list after Beijing put in a request with Interpol in April.